LiveChat for Android updated - beta 2 is out! LiveChat for Android updated – beta 2 is out! 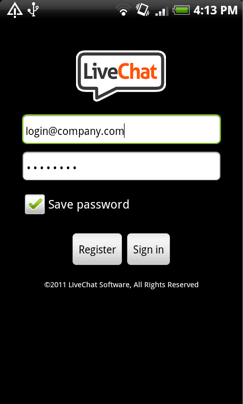 After a long break, we have released the next beta of LiveChat for Android. The most significant changes include the list of contacts and the system for automatic reporting errors. In addition, we worked on user interface transparency. See more screenshots of the LiveChat for Android – beta 2 in our Facebook gallery. Full list of changes is available on our forum. Now we are waiting for feedback from you! A real charmer, gentleman and jack of all trades. Lukasz dabbles in many LiveChat projects ranging from sending email newsletters to servicing our affiliate program. He has a heart of gold and never refuses when asked for help, even if he has his hands full. Hello world! Introducing the LIVECHAT Blog!